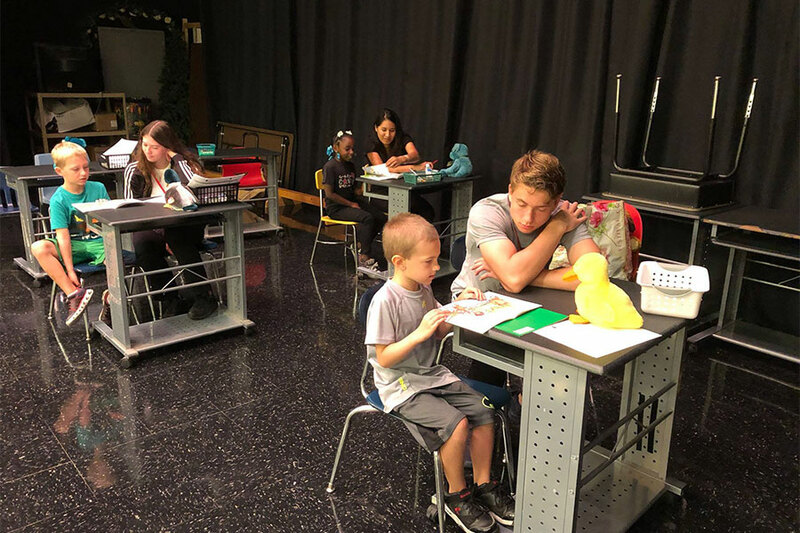 A group of Principia College students rises early twice each week to meet classmates at 7:00 a.m. for the van ride to Alton, where eager first and second graders at Lovejoy Elementary School await. The reading adventure begins as they quickly settle into pairs—one reading mentor for each child. It’s a win-win at the Alton Reach Out and Read Program (ROAR) program, located at six Alton-Godfrey sites. Elementary students at the Lovejoy location receive the undivided attention of a Principia student, who patiently listens as the child reads, helps with difficult words, discusses the story, and tracks the child’s progress in a reading log. “Our students build a caring relationship in a short time and are genuinely excited to listen to their young mentees,” says Robert Pennamon, who oversees Principia’s Community Service Program. “It provides a unique way for our students to uplift their own Christly thought and to demonstrate their understanding of Christian Science. They get out of their comfort zone and overcome a sense of fear so that they can be an active presence in the local community. Along the way, they discover real purpose as Principia’s founder Mary Kimball Morgan encouraged when she asked, ‘What can we do for them that will best prepare them for real life—a life of useful service and strong purpose?’” (Education at The Principia, p. 57). Alton School District’s ROAR program has developed a strong track record, showing steady improvement in students' reading comprehension. Results from the 2017–18 academic year reveal that at the beginning of the year only 46 percent of first graders were reading at or above grade level. By the end of the year, ROAR had helped raise that to 63 percent. Second graders began the year with 62 percent reading at grade level, which increased to 74 percent by the end of the year. While the stats are certainly encouraging, that’s not the sole focus for Principians who rise before the sun to board the van. Their broader goal is to connect with their small friends, share a love of reading—and boost confidence along the way.